Officials familiar with the talks describe a North Korean delegation that came into the summit fully expecting they would leave with a deal. Instead, Kim and his team left Hanoi bewildered. (CNN) — North Korean leader Kim Jong Un exuded confidence when he arrived in Vietnam on his heavily armored luxury train Wednesday, ahead of his summit with US President Donald Trump. But as he departed Saturday, waving to crowds before boarding that train empty handed, the cracks in that confidence had been exposed. Two officials familiar with the talks agreed to speak with CNN anonymously, because they are not authorized to talk to the press. They describe a North Korean delegation that came into the summit fully expecting they would leave with a deal. Denuclearization talks essentially ground to a halt within weeks of the June 12 Singapore summit. This time would be different, the North Koreans thought, because they were dealing directly with President Donald Trump. In what was perhaps a sign of his self-assurance, Kim took his first ever question from a foreign journalist — a Washington Post reporter traveling with the White House press pool. “From what I feel right now, I do have a feeling that good results will come out,” Kim said on Thursday morning. On Thursday afternoon, the summit came to an abrupt and humiliating end for the North Koreans. Not only did President Trump walk out of the talks, he also snubbed the final meal he and Kim were supposed to share together. The table was set and menu prepared for what should’ve been a friendly working lunch ahead of the scheduled joint signing ceremony. Instead, the snow fish and banoffee pie turned cold and the table sat empty — a symbol of the wasted opportunity in Hanoi. 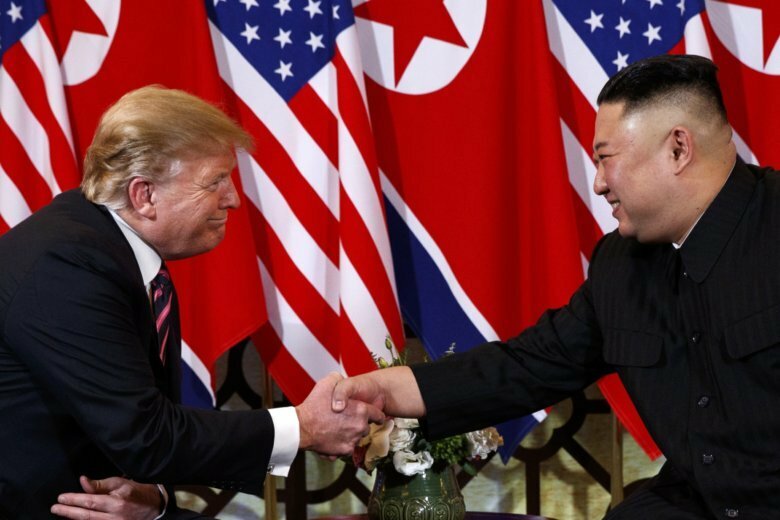 “There was a huge need from the DPRK side to leave Hanoi with a signed agreement, especially with all the positive propaganda ahead of — and during — the summit period, which was unprecedented for the DPRK ” one source said. The North Koreans had been playing hardball themselves ahead of the summit, even threatening to cancel talks if the US was unwilling to budge on lifting sanctions. But in exchange, they were prepared to offer what, in their view, was a significant concession. “They were willing to give everything, including all the facilities at Yongbyon (North Korea’s known nuclear reactor). Not just one physical reactor, but the whole complex,” one source said. The stunning collapse of talks created a crisis for Kim and his team of seasoned negotiators, who were left bewildered. President Trump claimed the North Koreans demanded all sanctions to be lifted, during his post-summit press conference — held two hours early Thursday in Hanoi. The North Koreans then took the extraordinary step of calling their own press conference in Hanoi late that evening, to insist they only asked for partial easing of sanctions. “Holding an after-midnight press conference to react [to President Trump) and counterattack shows the level of desperation and the level dissatisfaction from the DPRK side,” a source said. Kim Jong Un did not choose his lead negotiator Kim Yong Chol to give the press conference, instead he turned to Foreign Minister Ri Yong Ho and Vice Foreign Minister Choe Son Hui — both seasoned diplomats — perhaps a sign of his dissatisfaction with his ex-spymaster and his team’s lack of results. And while North Korean state media coverage of the summit the next morning put a positive spin on the situation, the sullen mood of the North Korean leader was far more accurately conveyed during that late-night press conference, sources claimed. “Kim Jong Un instructed Choe Son Hui to say those things,” the source said, adding those statements could never be made without direct instruction from Kim. Kim traveled to the summit hoping to advance North Korea’s economic goals and move closer to normalized relations with the US. It was a diplomatic gamble for both leaders that fell apart in spectacular fashion. This major setback leaves the future of US-North Korean diplomacy uncertain for now, sources said.